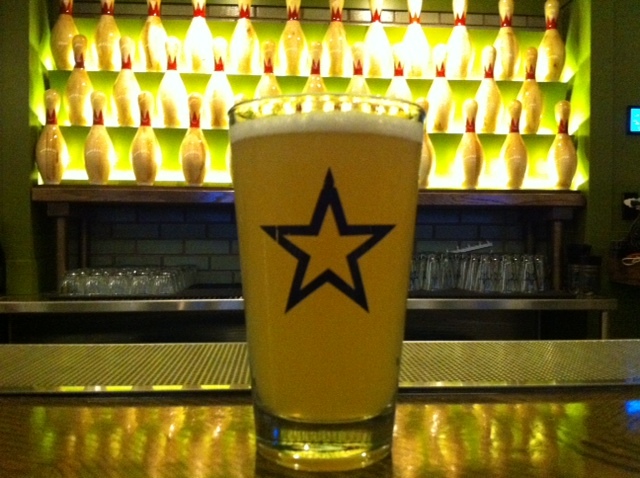 A nice, cold beer is a beautiful thing when bowling your way to a sad 125 at the newly-opened bowling alley at National on 10th in Calgary. But I have to say that a tequila-spiked, Mexican beer cocktail called the Michelada does a far better job of numbing the sour taste of bowling defeat. Mexico’s favourite hangover cure, the Michelada, also comes in handy when drowning bowling sorrows. The drink is but one Mexican-themed cocktail featured on the bowling alley menu. There’s also a margarita, a paloma (like a grapefruit margarita, but with fizz), and two cocktails made with mezcal, another agave spirit with a smoky flavour. Bartender Stephen Phipps took some liberties with the menu and created a couple of fun sips like the fan favourite Jesus Quintana (like a pisco sour, with chili bitters) and Orale! (rum, Mexican cola, lime and mole bitters). The drinks complement the Mexican street food eats and are priced to match ($10 to $12). We spent a fun evening throwing balls down one of eight lanes inside the eagerly-anticipated space located in the basement of the National on 10th beer hall, opened back in April. I’ve always found bowling alleys to be somewhat dreary and creepy places, so it’s refreshing to hang out in a hip one that features fare beyond hot dogs, greasy fries and mass market suds. Sadly, I was only able to sample a handful of the drinks at the opening party, but I’ll be back to try the rest… and to work on my bowling game (I’m gunning for a 300, baby!). 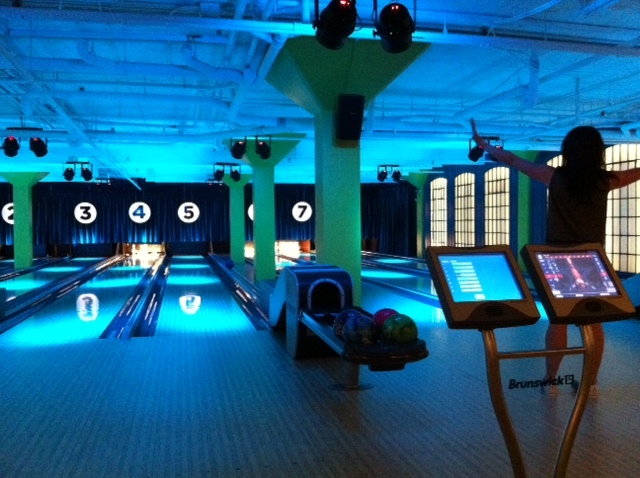 Bowling in the basement at National on 10th is a fun way to spend an evening. Shake all ingredients together with ice except beer. Strain into a chilled pint glass and top with Phillips Analogue 78 Kolsch. This entry was posted in Cocktails and tagged beer cocktails, Drink of the Week, michelada cocktail recipe, National on 10th bowling alley, National on 10th Calgary, National on 10th cocktails. Bookmark the permalink.